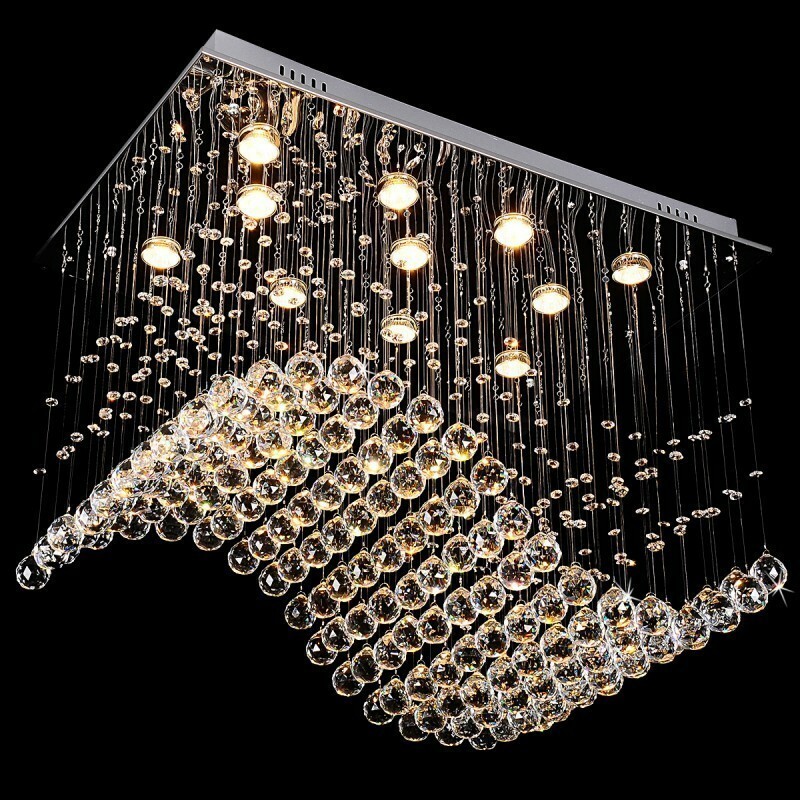 Contemporary 11-Light Crystal Wave Chandelier features 11 lights from above on to strategically positioned wave shaped crystals. The modern chandelier is made from stainless steel and covered with chrome finish. It is used 11 x GU10 type halogen bulbs. Basic assembly required.